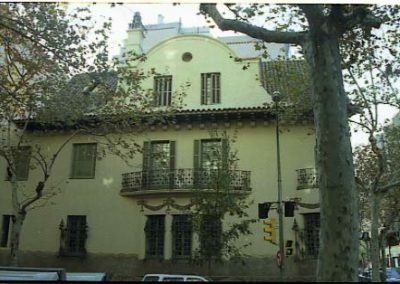 Present condition: Outside: Good / Inside: The building is at present the Catalonia Sports Museum and is adapted to that function. 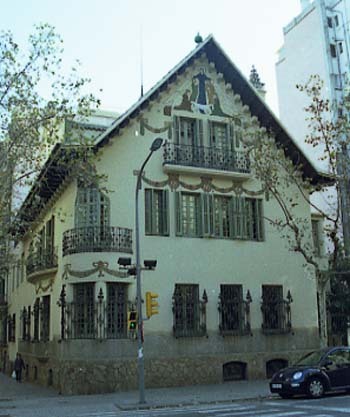 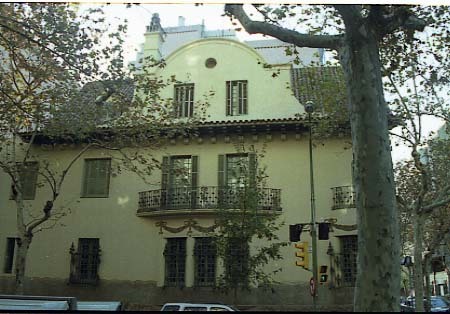 Visits: Monday to Thursday from 10 to 14 h and 16 to 19 h.
This house was projected by Josep Puig i Cadafalch and built in 1911. 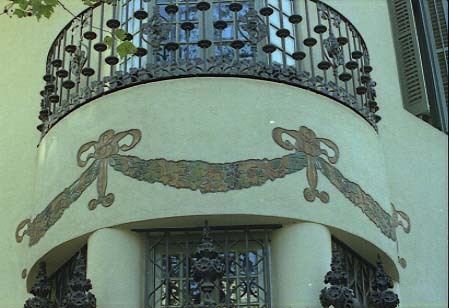 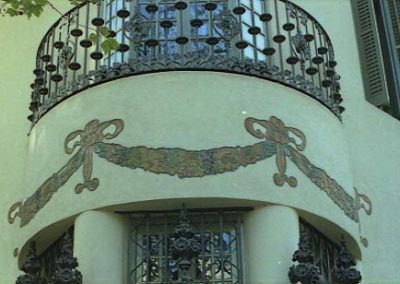 Following the classification of Alexandre Cirici Pellicer this house don’t correspond to Rose period -Modernist (Art Nouveau) period- of architect, but to White period closer to Austrian Sezessionstyl. 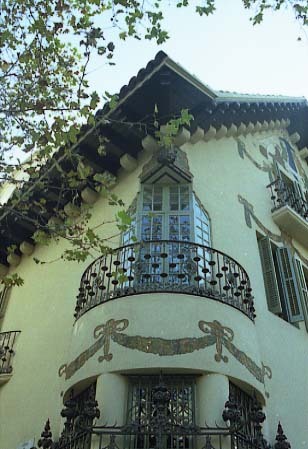 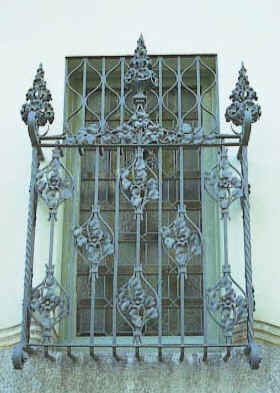 For that reason, the façade is not covered with the profuse decoration of Puig i Cadafalch Rose period buildings.